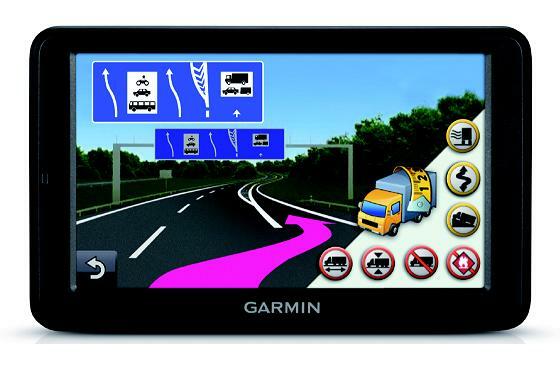 Hit the open road with the dēzl 560LMT – our advanced navigator for the trucking industry. Designed with truckers in mind, the 560LMT has a large 5” display, an extra loud speaker, and external video input for backup cameras. We’ve also expanded the feature list to include trucking speed limits, truck-specific route highlighting, and trucking points of interest (POIs). And truck drivers aren’t the only type of drivers that will like the 560LMT – RV drivers will appreciate the ability to setup an RV profile and calculate routes based on height, weight and length restrictions. The dēzl 560LMT was made for life over the road. Right out of the box, the dēzl 560LMT comes bundled with nüMaps Lifetime. Which means you can download the newest map data when it becomes available — no monthly fees or maintenance costs — for the lifetime of your device. A combination power cable/traffic receiver in the box gives you traffic services for the life of your device. You’ll avoid traffic jams and keep moving when your dēzl 560LMT alerts you and offers detours. No additional purchases are necessary — it’s 100 percent subscription-free traffic. 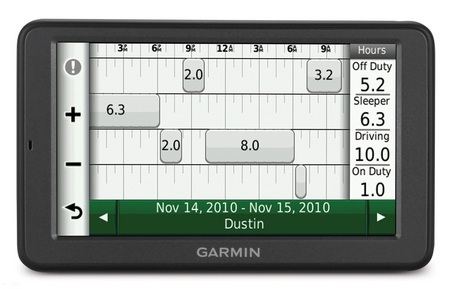 With your dēzl 560LMT, logging and retaining trip information has never been easier. You record fuel usage, and the 560LMT automatically records state mileage for IFTA fuel logging. Easily log your hours of service and driving status, and the 560LMT tracks your hours and automatically warns you of HOS violations. Conveniently export all logs for improved reporting and tracking of each trip. With a 5” (12.7 cm) high-resolution touchscreen display, dēzl 560LMT provides a wealth of information in great detail. Clearly follow your highlighted, truck-specific route on the trucking map and view trucking violations and warnings. 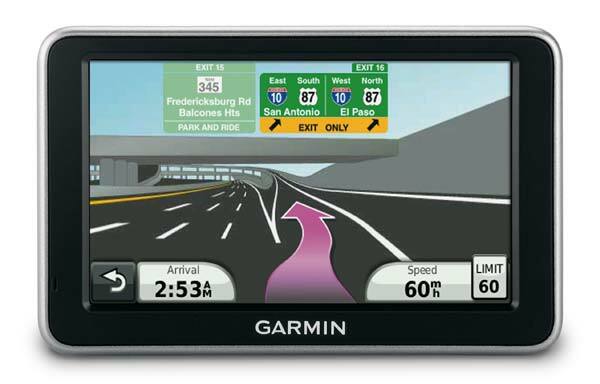 dēzl 560LMT also comes standard with Lane Assist with Junction View, which provides photo-realistic views of upcoming junctions to guide you to the right lane at the right time – especially helpful when navigating complex highway interchanges. dēzl 560LMT includes nüRoute technology with trafficTrends historical traffic and myTrends predictive routing. With trafficTrends, your dēzl 560LMT automatically learns daytime trends for traffic flow to improve your routes and better predict your estimated time of arrival based on time of day and day of week. With myTrends, when you save your regular destinations in your “Favorites,” your dēzl 560LMT will, over time, begin to figure out where you’re going even without your telling it! It provides time of arrival and relevant traffic information. So whether you’re driving to and from work or a regularly scheduled weekly event, your dēzl 560LMT will help you get there on time. No subscription or additional cost required. With detailed maps providing turn-by-turn directions that speak street names, dēzl 560LMT provides specialized routing to support truck-related restrictions (customizable by height, weight, length, width and hazardous materials). Simply enter dimensions and load restrictions, and dēzl 560LMT guides you according to your requirements. The onboard Trip Planner lets you create multiple-stop routes and plan and save future trips. The road is no place for surprises, and dēzl 560LMT keeps you informed of upcoming road conditions, such as sharp curves and high winds, and restrictions, including no trailer or hazardous materials. A grade data field that appears on the map enables drivers to anticipate descents and ascents and shift accordingly. Trucking speed limits appear if they are lower than the posted automotive speed limit, and you have the ability to correct the speed limit on your 560LMT so you havethe most accurate data at all times. For hands-free calling, dēzl 560LMT integrates Bluetooth® wireless technology with a built-in microphone and speaker. Just pair it with your compatible Bluetooth phone and talk hands-free through the 560LMT while staying focused on the road. Simply dial numbers with dēzl's touchscreen keypad to make a call. To answer calls, just tap the screen and speak into its built-in microphone. Enjoy convenient one-touch dialing for contacts and points of interest. Whenever the nuvi 560LMT is powered on, a warning message is displayed that lets you know which mode the GPS is currently set to: Truck or Automobile. Agree to use the currently selected vehicle type, or switch to Truck/Automobile mode. Before you can use the nuvi 560LMT in Truck Mode, you need to configure at least one Truck Profile. You can create and save multiple profiles, but you'll need at least one so that the 560LMT will know what type of height, weight, and load restrictions to take into account when figuring out which roads to use. You are automatically prompted to setup a Truck Profile the first time you try to use the 560LMT in Truck Mode. The nuvi 560LMT knows when trucks are prohibited on certain roads or highways, and alerts drivers if they're on a road they shouldn't be.